The person who is usually in the best position to bring a successful qui tam FCA case is a current or former employee of the company committing the fraud – or some­one who otherwise has inside information about the company’s scheme. The FCA does not require the whistleblower to be an insider, however, to recover under its qui tam, provisions. Anyone who has knowledge of the fraud, and who can provide reli­able evidence to the government to prove the fraud, can be a suc­cessful qui tam relator if he or she can otherwise satisfy the FCA’s unique procedural and substantive requirements. 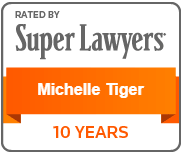 Nursing home abuse or neg­lect cases. Medicare and Medicaid fraud by nursing homes, skilled nursing facilities, and assisted living facilities is a common subject of False Claims Act litigation. Abuse or neglect of patients in these same facilities is a common subject of personal injury litigation. Lawyers who handle the latter may sometimes have evidence of the former right under their nose. Most nursing home residents are Medicare or Medicaid beneficiar­ies (or dual beneficiaries of both programs). If a nursing home bills Medicare or Medicaid for services that it has not provided, that is health care fraud. Likewise, if a nursing home pro­vides medically unnecessary services and bills Medicare or Medicaid for those services, that too is health care fraud. If you handle nursing home abuse and neglect cases and you make it your regular practice to carefully examine the billing records of both your client and the defendant, you are likely at some point to discover instances of billing for services that were either not provided or not med­ically necessary. There are countless large FCA settlements involving both types of schemes. In one of the largest FCA recov­eries of 2016, Life Care Centers, Inc., a Tennessee-based Skilled Nursing Facility provider, paid $145 million to settle allegations that it systematically provided medically unnecessary therapy in order to bill Medicare for the highest level of Medicare reim­bursement. Two relators shared a $29 million award. Fraud by health care providers performing medically unneces­sary procedures is another com­mon subject of qui tam FCA cases. Medically unnecessary procedures may also cause injuries that give rise to medical malpractice claims. Where the injured patient is a Medicare or Medicaid beneficiary, the lawyer handling the malpractice claim should recognize at least the potential for FCA liability. Stent placement procedures are a good example of the potential for overlap. High reimbursement rates incentivize physicians to treat coronary and peripheral artery disease by placing stents, and that incentive has led some physicians to implant large numbers of medically unnecessary stents. In such situations, the vic­tims are: (1) the federal govern­ment, which has been defrauded by paying for procedures that were not medically indicated;4 and (2) the patients, some of whom have suffered injuries such as blockages or complications of anticoagulation therapy required when stents are placed. A lawyer representing a Medicare or Medicaid beneficiary in a mal­practice claim arising from an unnecessary stent placement should at least consider the possi­bility that his or her client is a victim of a larger fraud scheme. Indeed, this is true for any type of medical malpractice case involv­ing a Medicare or Medicaid bene­ficiary injured as a result of a procedure that was not medically indicated. The federal govern­ment recovers substantial sums each year in qui tam FCA cases involving all sorts of medically unnecessary treatment. In 2015, for example, nearly 500 hospitals collectively paid $250 million to settle allegations that they were implanting cardioverter defibril­lators in patients before the expiration of the required waiting period after a heart attack or heart bypass surgery or angio­plasty. Medicare rules required the waiting period because, if given sufficient time to recover, many patients may not have needed the ICDs at all. Two rela­tors shared a $38 million award. One of the most notorious med­ical necessity cases involved a Detroit area oncologist, Dr. Farid Fata, who knowingly adminis­tered radiation and chemothera­py to hundreds of patients who did not have cancer. A brave physician in Dr. Fata’s practice brought a successful qui tam case against him, and there were numerous patients with injury claims as well. If any of those vic­tims had understood that they were victims of a massive fraud scheme, they would have been potential qui tam relators. Pharmaceutical or medical device cases. The federal Anti­ Kickback Statute, 42 U.S.C. § 1320a-7b (AKS), prohibits pay­ment of remuneration to physi­cians to induce them to provide services paid for by government health care programs. Any viola­tion of the AKS gives rise to potential FCA liability. There have been many large FCA set­tlements involving drug or med­ ical device manufacturers accused of violating the AKS, including some in our own back­ yard (e.g., a 2009 Eastern District of Pennsylvania case in which Eli Lilly paid $1.42 billion to settle allegations involving the drug Zyprexa). As the federal government’s enforcement efforts have increased, companies have become more creative in their kickback schemes, but illegal “remuneration” under the AKS is defined very broadly. If you handle drug and device cases and you discover any sort of untoward relationship between the company that manufactures the product at issue and the physician who is prescribing or using it, you may want to explore a possible FCA claim. An isolated instance of health care fraud will not cause sufficient financial harm to the government to warrant any investment of resources by either the government or private relator’s counsel to litigate the case. Therefore, in any situation like those described above, the key to assessing whether there is a potentially viable qui tam False Claims Act case is to evaluate whether there is evidence that the fraud in your client’s case is part of a much larger pattern. This is rarely easy, and it may not be possible depending on the circumstances of a particular case and the information available, but experienced whistleblower attorneys have various tools at their disposal, including increasingly sophisticated methods for analyzing both publicly available and commercially acquired health care reimburse­ment data to look for patterns. Other more old fashioned meth­ods involve trying to identify additional witnesses or potential­ly even individuals to partner with as co-relators, although each approach requires a careful cost-benefit analysis and atten­tion to the ethical rules (includ­ing those unique to qui tam FCA practice). In addition, because such investigation can involve a healthy investment of both time and money, it only makes sense to undertake where the potential FCA defendant has sufficient resources to pay a significant settlement or judgment. 3Another successful qui tam action brought by inury claimants is United States ex rel Arven v. The Virginia Birth­ Related Neurological Injury Compensation Fund, Civil Action No. l:15-CV-870 (E.D. Va.). In that case, a Virginia couple exposed a fraudulent scheme by the defendant Fund to shift med­ ical expenses for children with birth injuries to federal health care programs. The case settled in 2018 for $20.7 million, and the relators (parents of a birth-injured child and fund claimants) received more than $4 million. 4Examples abound of qui tam FCA settlements involving medically unnecessary stent procedures. See, e.g., United States ex rel. Lincoln et al. v. St. Joseph Medical Center, Inc. et al., Civil Action No. 01:10-CV 01632 (D. Md.) ($22 million settlement) United States ex rel. Jones et al. v. St. Joseph Health System et al., Civil Action No. l l-CV-81 (E.D. Ky.) ($16.5 million settlement); United States ex rel. Loughner v. EMH Regional Medical Center, Civil Action No. l:06-CV-2441 (N.D. Oh.) ($4.4 million settle­ment). In March 2018, the gov­ernment announced a small set­tlement with a University of Pennsylvania Health System (UPHS) cardiologist involving unnecessary stent procedures fol­lowing a voluntary disclosure of the illegal conduct by UPHS. 5United States ex rel. Richard West v. Maxim Healthcare Services, Inc., Civil Action No. 04-4906 (D.N.J). 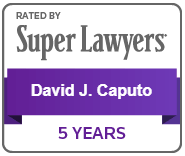 Editor’s Note: David J. Caputo, Esq. 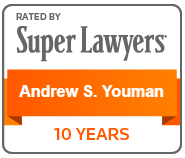 is a founding partner of Youman & Caputo, LLC and a former Assistant United States Attorney in the United States Attorney’s Office for the Eastern District of Pennsylvania, Government and Health Care Fraud Section. 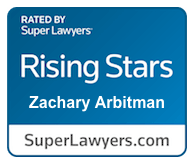 His practice includes both catastrophic injury and qui tam False Claims Act cases. You can reach Mr. Caputo at: dcaputo@youmancaputo.com. 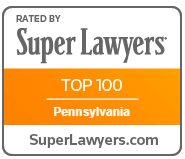 *This article was originally published in Philadelphia Trial Lawyers Association’s semi-monthly “Verdict” publication.